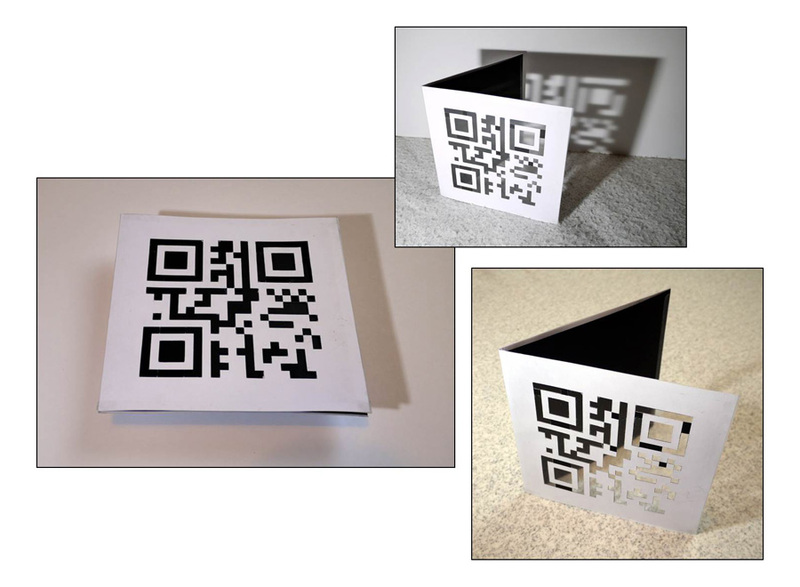 When folded in one configuration reads: “information is everywhere, all you have to do is look. Ian Waft 30/01/14“. 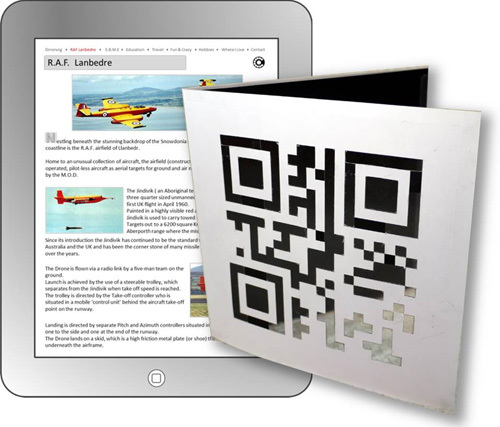 When folded differently a QR code appears that, when scanned, reads: “Ian Waft 2014”. A bridge between two medias. Dinorwig Power Station. Previous place of work. 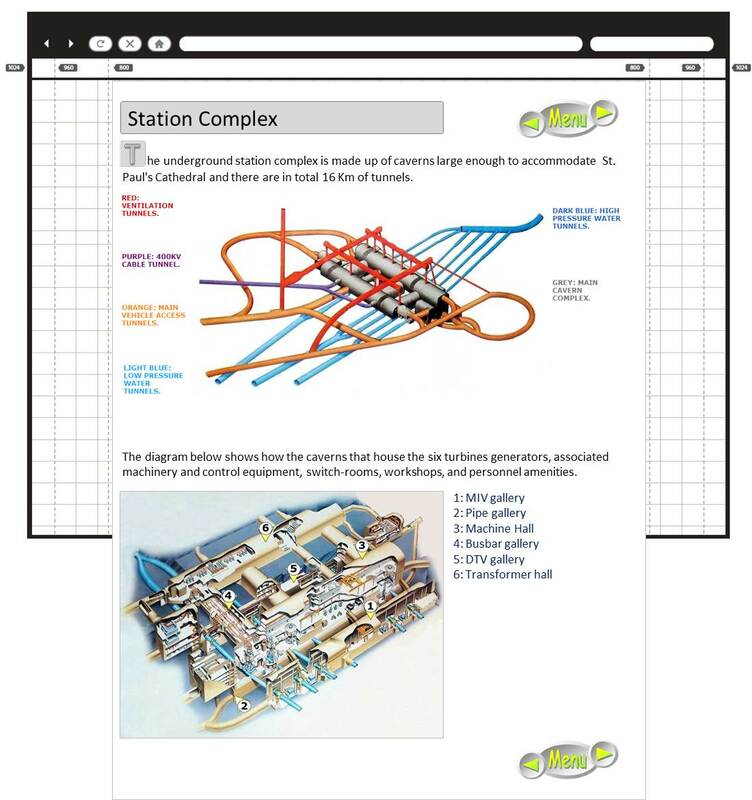 Turn the dial and diagrams with relevant information line up in the info windows. On the back is more information. 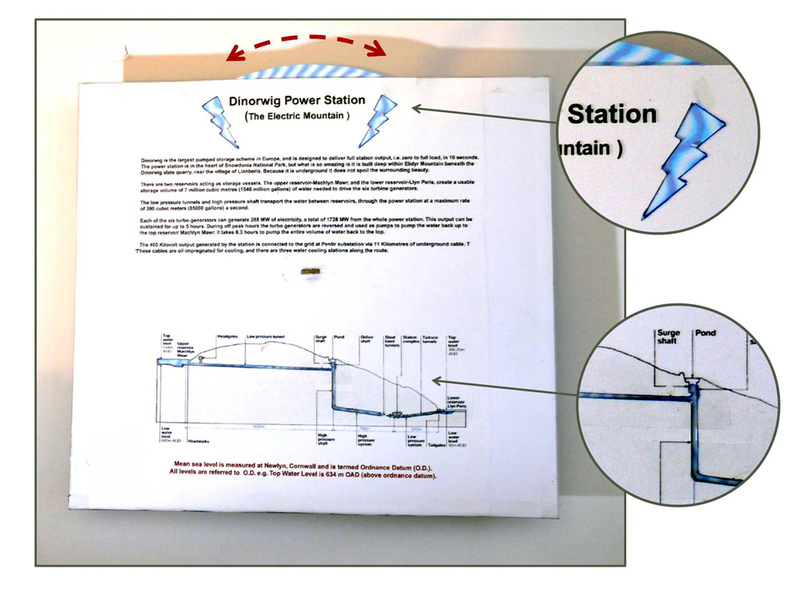 When the dial is turned, the patter gives the illusion of lightning moving (symbolizing electricity) at the top cut-out, and water moving through the power station diagram on the lower cut-out. 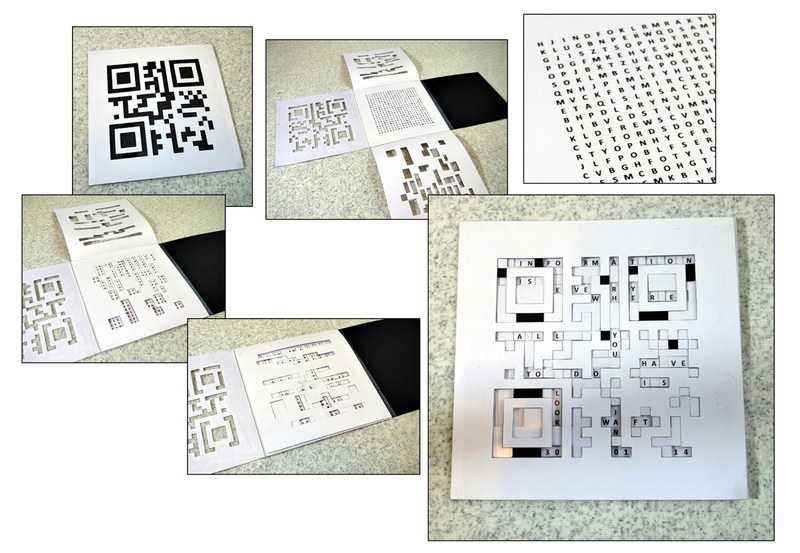 Designing an app for electronic devices. 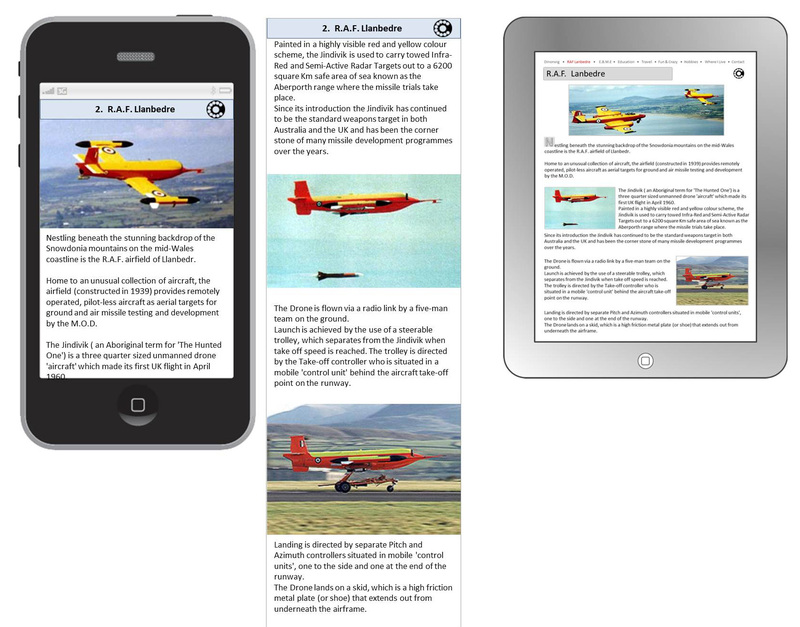 Looking at layout and navigation and how the pages change in accordance with what device they are viewed on. This exercise is based on our own personal life journey. The front page interface is just for fun and is a play on Looking Back over my personal history, and has a retro design to represent the time before mobile phones/devices and PCs. A time when you had to look for numbers on printed lists and use a dial up phone to communicate with the outside world. The dial and exit button represent an old phone. Rotate dial until you reach the registered stop. ( if you don’t reach registered stop before letting go sound “ Number not recognised, please try again” . Dial return s to start point with mechanised sound of the dial turning. Page fades to reveal chosen page as dial returns to start point, with background sound “ putting you through now” with mechanised sound of the dial turning. 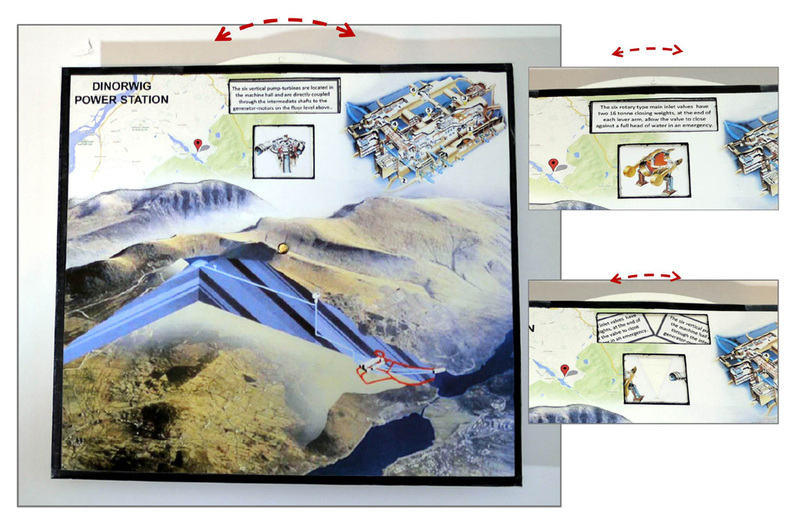 On a desk top PC this presentation about Dinorwig Power Station opens a separate new window as a stand alone presentation with some 15 plus pages. 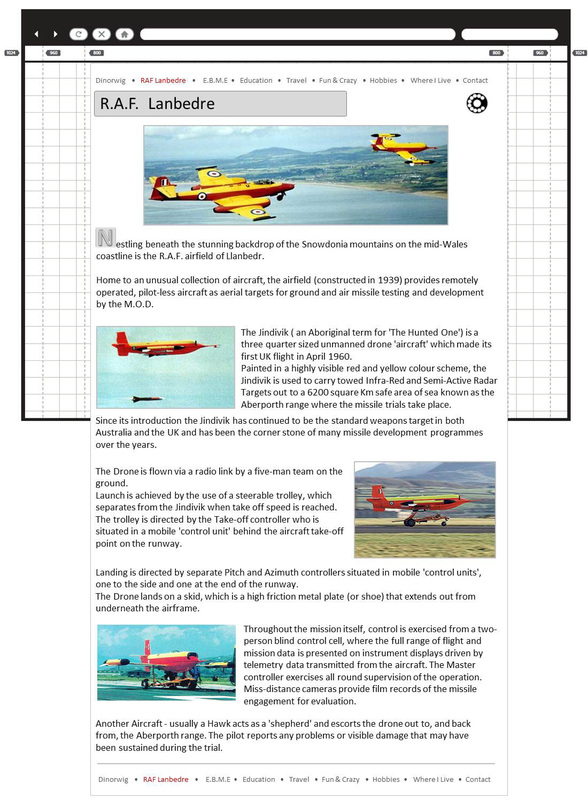 As with the main page, the max width is limited to 800 px and centred to look the same on most desk top monitors, and tablets with a certain amount of text wrapping. There is a slightly different navigation button shown below. The colour changes as the mouse rolls over. Where necessary the pages scroll down to reveal more info about that particular part of the power station, and there is a navigation button repeated at the bottom of the page. 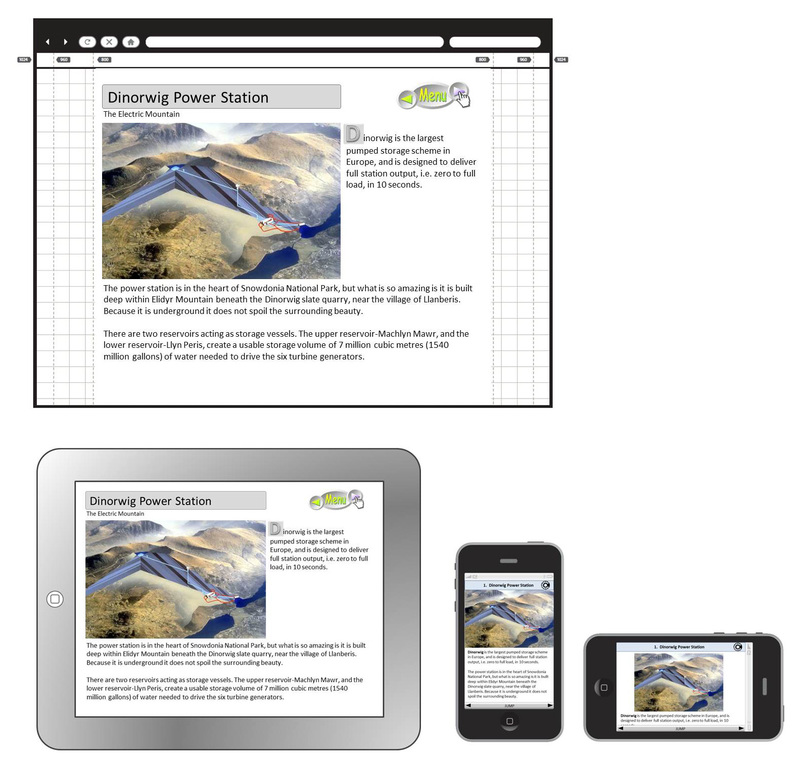 On a mobile device the navigation bar allows the user to move around the presentation. 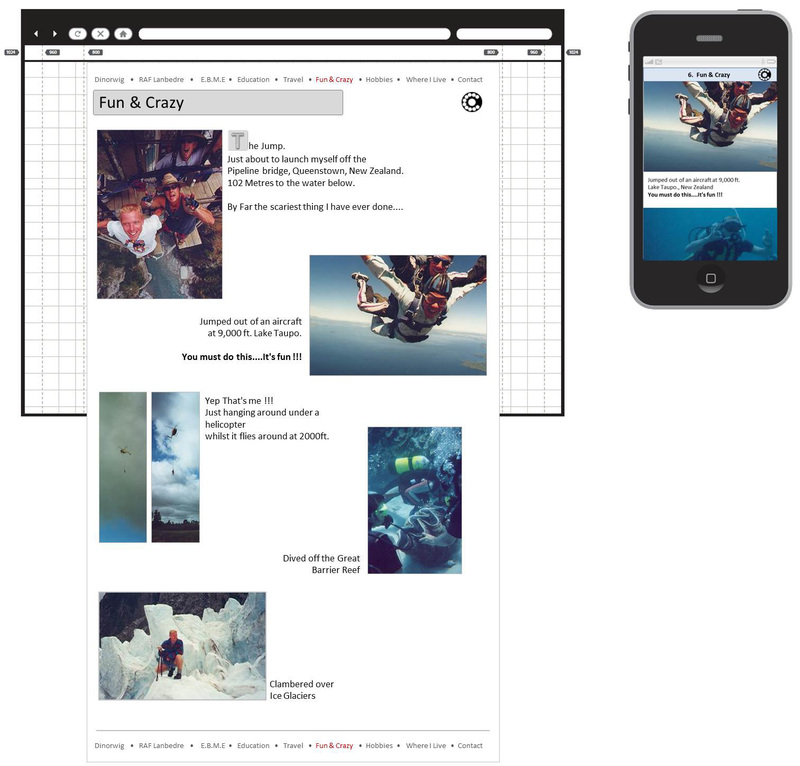 “JUMP” takes the user to the thumbnail menu. The top right dial icon returns the user to the opening page. 2. R.A.F. Lanbedre. Previous place of work. 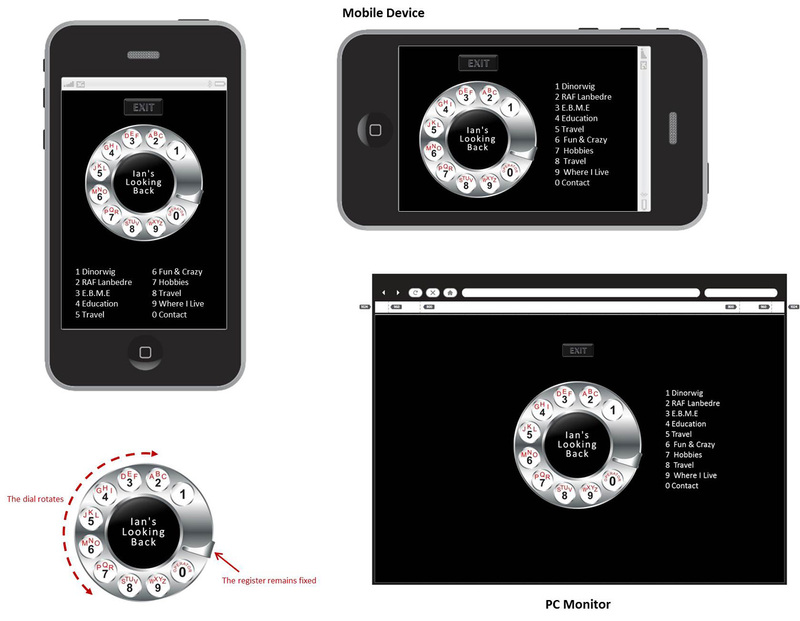 Similar to the Dinorwig page, the main pages are limited to 800 px and centred so that it looks the same on most monitors regardless of width.There is a simple quick jump menu at the top and bottom of all pages for easy navigation.And similar to the mobile version, the dial icon returns the use to the phone front page. Scroll down the page to reveal further pictures with small amounts of digestible info. 6. Fun & Crazy, and other pages have a similar layout as above. Taking a closer look at thigs I have done in amy personal life.